Alberta is lucky to have an abundance of wildlife. While great for the vitality of our province, wildlife also causes a lot of vehicle collisions. Hitting an animal versus hitting an inanimate object comes with very different insurance ramifications. 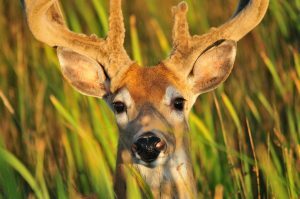 Read on to learn what to do in a wildlife collision and how it’s likely to impact your auto insurance premiums. Drive with extra caution during the Fall and Spring seasons – especially at dusk and dawn, as this is when animals are most active. Use your high beams when possible. Keep a look out for the reflection of an animal’s eyes. Always be scanning the ditches ahead. If you see one animal, chances are there are probably more, so slow down and exercise caution. Slow down around corners until you can see what is ahead. Swerving puts you at a greater risk of hitting oncoming traffic or other hazards. The damage from hitting an animal is usually less then hitting another vehicle or a tree. Take your foot off the gas and keep your wheels straight. Honk your horn to try and scare the animal. If you are able to move your vehicle off the road to a safe place, do so. Turn on your hazard lights and stay in your car, especially if it’s dark outside. If you are injured, call 911. If the animal is blocking traffic, you can also call the local police and they will be able to deploy a team to clear the road. Do not attempt to assist or move the animal. A wounded, frightened animal is likely to attack. When or if it is safe to leave your vehicle, take pictures of your vehicle, the surrounding areas, and any injuries sustained. Your agent will be able to help you through the steps with regards to submitting your claim. If you have collision and comprehensive coverage on your auto insurance plan, you will be covered in a wildlife collision. Collision coverage provides coverage if your vehicle is damaged in an accident, while comprehensive coverage provides coverage for non-accident related claims. If you hit a wild animal that was alive at the time of the collision, the accident will fall under your comprehensive coverage, and your premiums shouldn’t go up. If you hit a wild animal that was dead from a previous collision, or hit a tree or another vehicle, the accident will most likely fall under your collision insurance, and you may see your premiums increase. Wildlife collision are not an uncommon occurrence here in Alberta. If you’re wondering if you have the right coverage in place in case of a wildlife collision, give the team at ARC Insurance a call today!